Furry critters are welcome so long as you think they'll play well with others. Unsure about sizes? We have fitting rooms available to double-check for fit. Disposable try-on briefs are available when you try on underwear and swimwear. ALL UNDERWEAR, SWIMWEAR AND CLEARANCE ITEMS ARE FINAL SALE. Stock levels can fluctuate very quickly. To maintain freshness of styles on hand, we cycle through styles regularly. Didn't catch your size? We'll add you to the Wish List to be notified upon receipt of restocked goods. 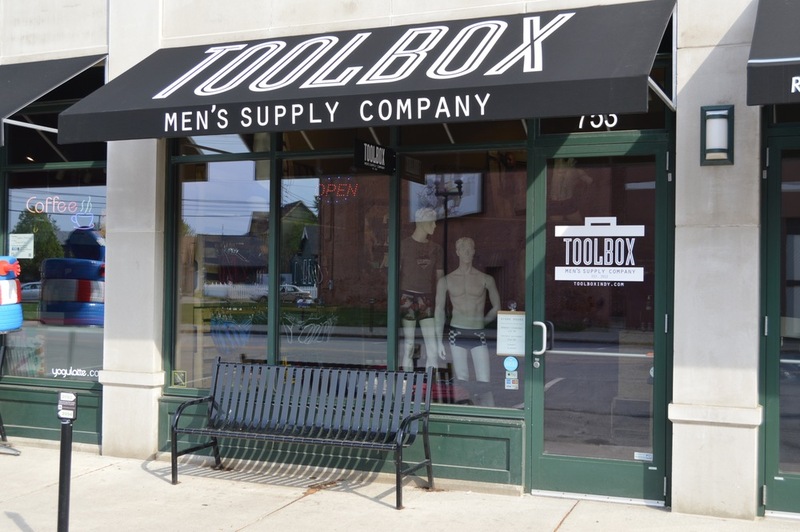 Order online with free US shipping at toolboxindy.com. Most all of our available styles in store are listed for sale on our website. (We do stock Andrew Christian styles, however, they prohibit retailers from listing AC products to order.) Our website shares inventory with our storefront so online stock is taken directly from the sales floor to fulfill orders. Frequent shopper? Join our VIP customer loyalty program. After you purchase three times, on your fourth visit, you earn 25% off your full-price purchase. See store for details.